After years in the advertising business, Matt Lewis and Renato Poliafito decided to leave their day jobs and open a bakery in Red Hook, Brooklyn. 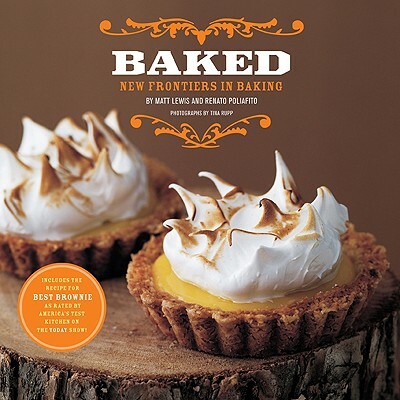 Baked opened in January 2005 to instant rave reviews. The authors have been featured on Oprah, the Food Network, Martha Stewart’s daytime show, and the Today show. The bakery has been reviewed in countless magazines, both local and nationwide. Lewis and Poliafito live in New York City. Tina Rupp is a New York–based photographer who specializes in photographing food and children. Her work can be found regularly in Food & Wine, Everyday with Rachael Ray, and Parenting magazines.